I heard many people saying that one of the terrorists had studied in Jamia School, in my batch. If ‘they’ were to say I was friends with him, how would I deny it? I had very few friends in school, but who would believe that? You can alter your future, but how do you change your past? 19 September 2008, the Batla House encounter. That one day changed the life of a young man from Inderwan Bairam in Bihar’s Gopalganj district. 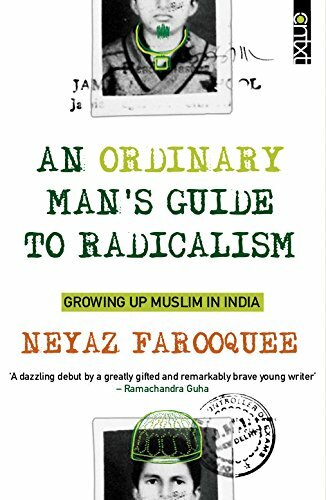 An over-protected childhood in the village, an ambitious migration to Delhi as a young boy for better education, an undisciplined and shiftless adolescence – all of this history is flattened out into one tiny slice of Neyaz Farooquee’s identity: Muslim. From Jamia Nagar. Who lived practically next door to the Terrorists who had been killed in the encounter. A Potential Terrorist himself? How, after all, does a man prove that he is (and not merely pretending to be) a Normal Human Being? Sardonic and wise, Farooquee scrapes out the unvarnished truth about identity and stereotypes, about life in a ghetto, and the small and big disappointments that make up an ordinary life. A necessary book for our troubled times. Buy the book An Ordinary Man’s Guide to Radicalism from Ideakart.com.